This is the new and improved Hiblow HP120LL. This new design includes improvements for longer lasting diaphragms over the standard HP-100 model. 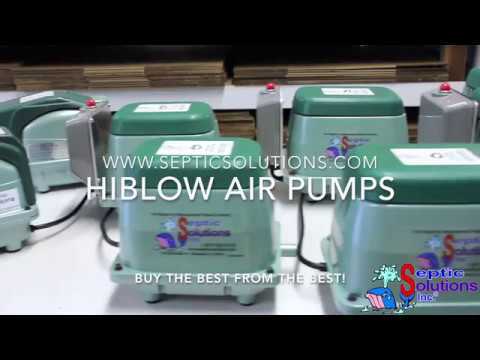 The Hiblow HP-120LL fits many 750 and some 1000 Gallon Per Day aerobic systems. The Hiblow HP-120LL is a compatible replacement for the Hiblow HP-120, Gast SPP-120, Thomas 5100, Medo LA-120, Secoh EL-120, and many other 120 LPM units. This model includes an attached alarm to signal air pump failure.